Carry all your eye and cheek color samplers in our new album designed to hold the full sheets you receive from the company. 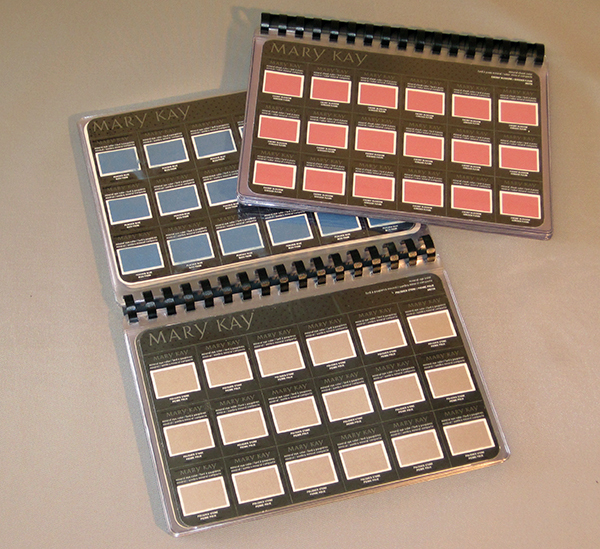 You can carry up to 18 sheets of color samplers in the clear, double-pocketed pages. Flip through the pages to find the exact color for your customer. Remove the sampler sheet, tear off the sampler and return the sheet to it's pocket. The album makes it easy to carry and display the color samplers and they're always at your fingertips.